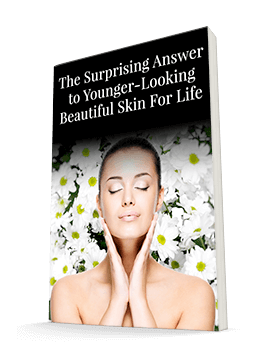 As you age, you'll likely find that your skincare needs to change. 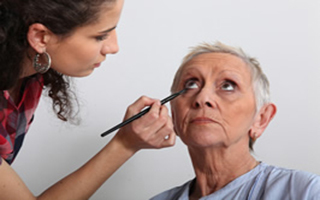 For instance, some people notice that aging often brings about darkness under their eyes that they've never had to deal with before. Their sleep habits may not have changed, but their skin has. Fortunately, there's a solution beyond simply piling on concealer. The reason this darkness appears is that the skin under our eyes gets thinner as we age. There's a network of blood vessels underneath the skin, and as the skin becomes thinner, these vessels become easier to see. So the way to solve the dark circles is to strengthen that skin. This isn't an overnight fix. So while you are treating the skin, you can use a dot of highlighter in the corner of your eyes to brighten the area. But for a long-term solution, use an eye cream nightly that contains retinol (such as retinyl palmitate), which is a vitamin A derivative; vitamin C (ascorbic acid); and hyaluronic acid, which will keep the delicate skin moisturized. These ingredients help to encourage the growth of new collagen, which firms and strengthens the skin and hides those dark blood vessels. Fortunately, you don't have to search far for these ingredients. They're all in the Système 41 Eye Serum, along with many other beneficial ingredients to rejuvenate this sensitive area while keeping it hydrated and healthy. It will help you maintain that well-rested look that you've earned with healthy habits.